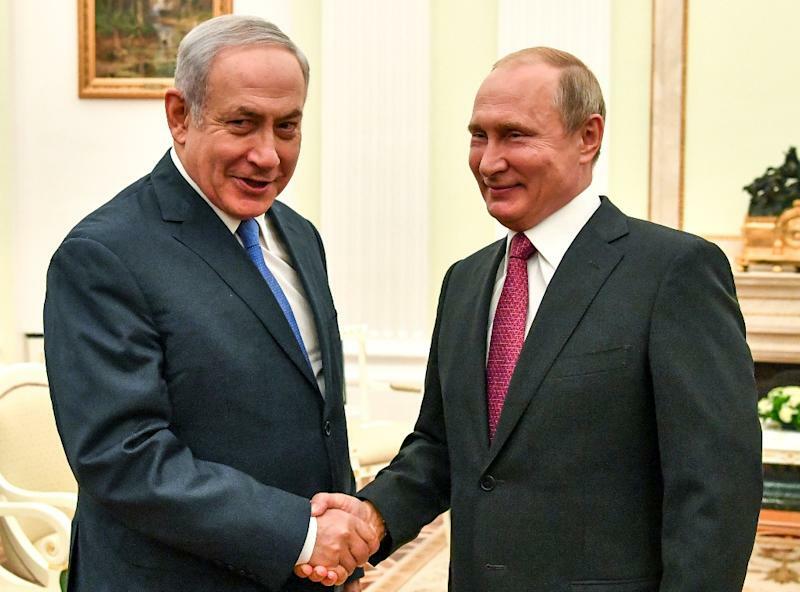 Jerusalem (AFP) - Israeli Prime Minister Benjamin Netanyahu will visit Russia on Wednesday for talks with President Vladimir Putin that had been scheduled for this week, the Israeli government said. It gave no further details in its Thursday evening statement, but Netanyahu's office said earlier this month that the two men planned to discuss Iranian military activity in Syria. The meeting was originally set for Thursday but was postponed the previous day with the Kremlin telling Russian state news agency Ria Novosti it was for domestic Israeli political reasons. Israeli media said Netanyahu was working with allied right-wing parties to hammer out strategy for an April 9 general election ahead of a Thursday night deadline for the submission of electoral lists. The rescheduled meeting will be the first extensive face-to-face exchange between the two men since a deadly friendly fire incident in September that saw a Russian plane being downed by Syrian air defences during an Israeli raid, which angered the Kremlin. Netanyahu and Putin, who have spoken by telephone several times since the incident, met in Paris in November on the sidelines of commemorations for the centenary of the end of World War I.
Israel has carried out hundreds of air strikes in Syria against what it says are Iranian and Hezbollah targets, and has set up a "de-confliction" hotline with Russia to avoid accidental clashes. Netanyahu has pledged to stop Israel's main enemy Iran from entrenching militarily in its northeastern neighbour. Both Russia and Iran are allies of Syrian President Bashar al-Assad and have helped his forces to win back much of the country from jihadists and other rebels.